We are thrilled to announce the rebranding of our Opus chairs after 20 years of successful design and development, and strong market place position. Although these humble little chairs may seem simple to the eye, their quality design amazes musicians from around the world. The first model of the Opus chair was created by two designers – David Rowe and Professor Richard Snell – over 20 years ago following their recognition that there was little information on the significance of posture for musicians. As they continued to research the problem, David and Richard saw that there were a variety of physical disorders experienced by musicians, such as serious back pain. 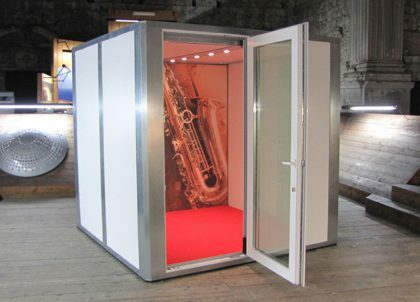 By working alongside instrumentalists and management of one of the country’s leading orchestras, an array of key factors were recognised which would be essential for the new chair design, including an ability to breathe freely and powerfully. They used their wisdom and these conditions to design the first chair – the Opus 1. Following the Opus 1, more chairs and stools were developed and brought into the family, meaning all members of the orchestra would now be provided with the same comfort and support of the original chair. The Opus 3 was primarily introduced for schools and universities which offered a more affordable line of posture seating for students. But what about the Opus 1 design makes this chair so beneficial for musicians? One key benefit is the unique support of the Opus backrest that assists the spine and crucially prevents the backward rotation of the pelvis, therefore reducing one of the main causes of back pain. Additionally, the side edges curve downwards in a waterfall fashion, improving leg position and also reducing damage to instruments being placed to the side during periods of rest. Opus seating is now approved by and highly recommended by musicians and ergonomic specialists from across the UK. 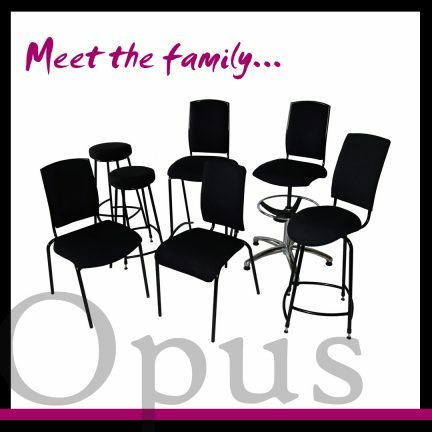 You can be assured that you will be getting the best seat in the house when you buy from the Opus family.